J.Crew is far too big and far too preppy to actually endorse a candidate, and that's probably for the best—do mall retailers really need to get involved in politics? One thing they've wholeheartedly embraced, though, is the all-yellow outfit Michelle Obama wore on Jay Leno last week. 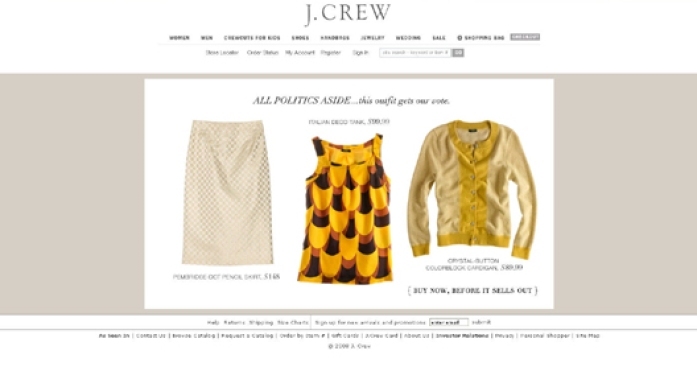 MORE ON RACKED NY "Here's what the J.Crew homepage looked like..."